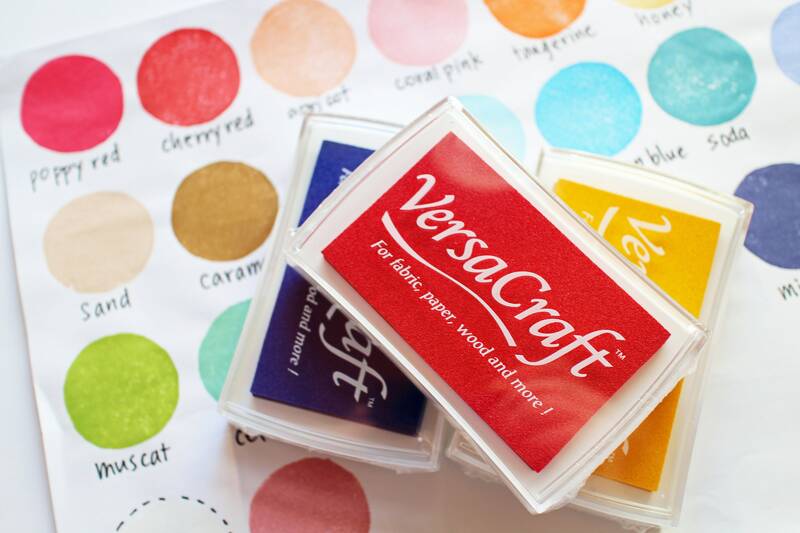 • 1 tsukineko versacraft ink pad is a japanese multipurpose water based pigment ink pad for rubber stamps, stenciling, scrapbooking and craft projects. 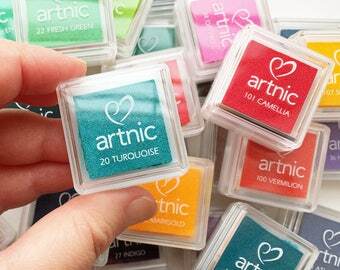 • choose 1 color when you check out! • drying time varies based on surface, material, humidity, etc. 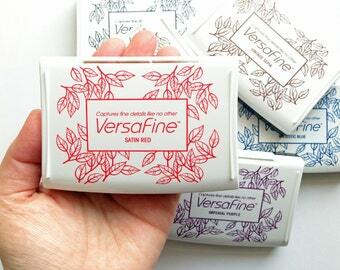 • stamped textiles with versacraft will be water resistance and washing resistance after heat setting. • designed and made in japan. 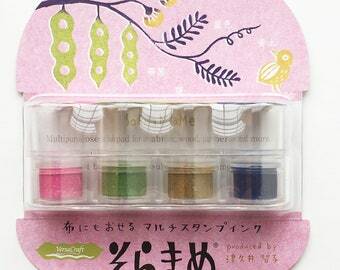 there are small ink pads available in the shop. ink refills are also available. colors may look different on screens to screens. Great quality stamp! Shipped very fast with very short turnaround time & packaged with care! Seller was very responsive to questions! Will be back for more super adorable stamps and supplies! 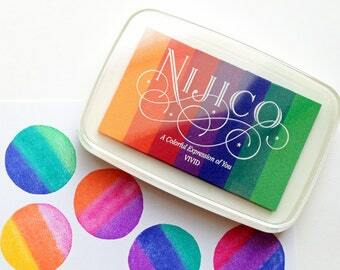 Love all the colors of this ink pad!! Shipped very fast with very short turnaround time & packaged with care! Seller was very responsive to questions! Will be back for more super adorable stamps and supplies! Great quality ink pad!! Shipped very fast with very short turnaround time & packaged with care! Seller was very responsive to questions! 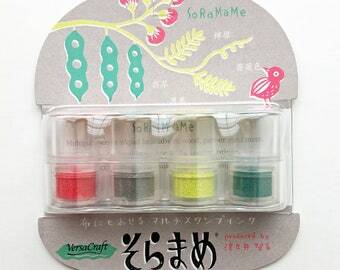 Will be back for more super adorable stamps and supplies!